Want to learn to play Poker? Free tutorial from 6:30pm @ any WAPL event! If you're interested in learning how to play poker, but aren't quite comfortable enough to jump straight into a tournament scenario, please consider joining us from 6:30pm at any event for a free tutorial! 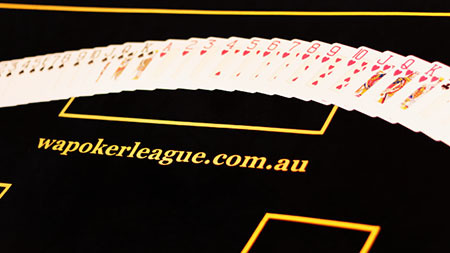 This is the perfect opportunity to get involved as a complete beginner, and all new tutorial participants get the opportunity to join in the WAPL Free League Tournament, to help put their newfound skills to use. So, if you have any friends or family who might be keen on learning our great game, please spread the word!